1.Round base and mirror surface,mirror diameter is 6. 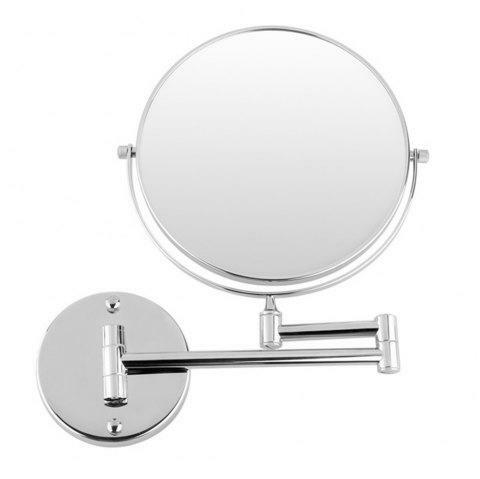 2.Double-sided mirror with normal and 3X magnifying. 3.360 angle swivel design and can be fixed at any angle you like. 4.All metal construction with polished chrome surface. 5.Elegant design, would be suitable for any family and hote bathroom, etc. 6.Ideal for applying make-up, wearing contacts and shaving, etc.